In a desperate search for something to wear, I discovered a new favorite outfit. I can wear this to work, shopping, on date night or anytime (the possibilities are endless)! Not only do I like the way I look in it (which is rare these days) but I love how comfortable it is (I seriously feel like I'm in my PJ's all day). If you haven't been able to tell by now, red, white and blue is one of my favorite color combos. I think it has to do with how popular navy is right now. 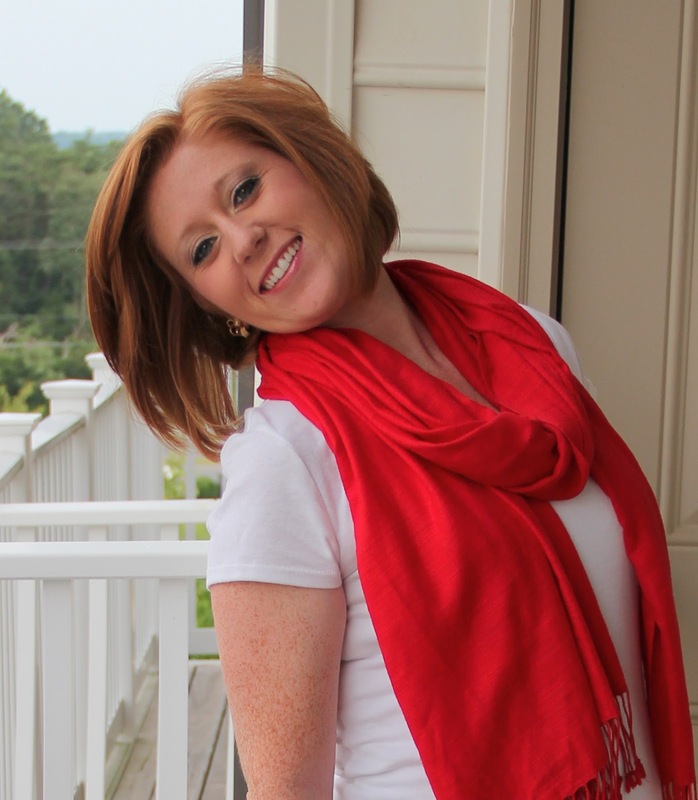 Because when you wear navy you wear white, and then I always feel like it needs a splash of color, hence the red. Before you know it, I am a walking billboard for patriotism. Could be advertising worse things, right? What is one of your favorite outfits that no matter the day, you look and feel great in it? 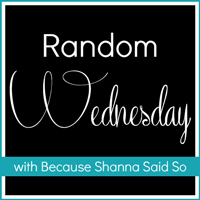 Linking up with Lindsay @ The Pleated Poppy for WIWW and Shanna @ Because Shanna Said So. You have AMAZING hair!!!!!! 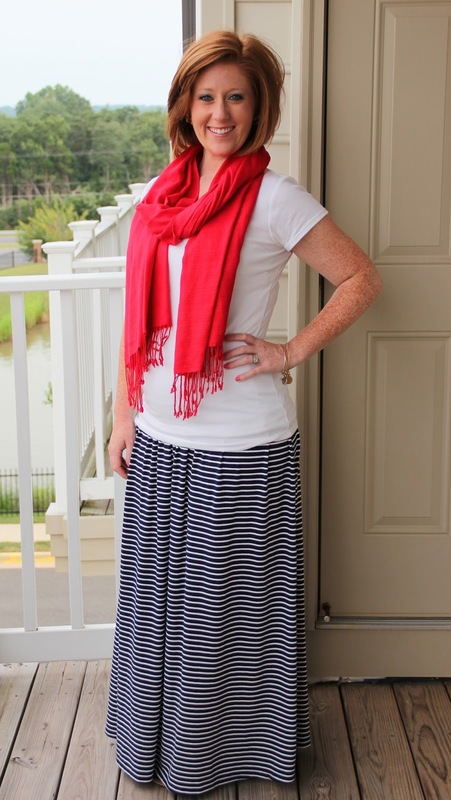 :) I need to find me a good striped maxi skirt! Love how you added a bright scarf - so fun! I love red, white, and blue together, too. In fact, today my shoes are blue, my skirt is red, and my shirt is white. 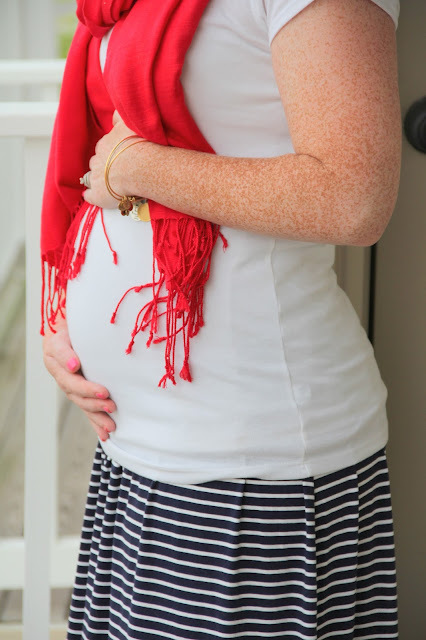 I need to invest in a white and grey maternity t-shirt. Do you love this one from Target? SOOO cute, melissa! you look ADORABLE!